Cabin Creekwood’s cabins for rent are located in the Virginia Mountains, a short, scenic drive away from Wintergreen Resort and Massanutten Ski Resort. Our cabins for rent are great places to stay for skiers, their families and larger groups. We love to host group ski trips that are planning to ski at Wintergreen and/or Massanutten. We are a favored place to stay and many church groups, school field trips, and large family groups feel at home at Cabin Creekwood. Ski season is just gearing up! Before you know it, the snow will be falling in our region. We recommend booking early for the Wintergreen and Massanutten Ski season. If you book early enough, your large group ski trip attendees could even rent all of the Wintergreen Resort Rentals at Cabin Creekwood and stay close by to one another in our resort family friendly, small resort compound. Several of our cabins for rent are even pet friendly, a huge value if you want to bring along your dog and do not want leave them out of your trip. Pet boarding fees can also get expensive. 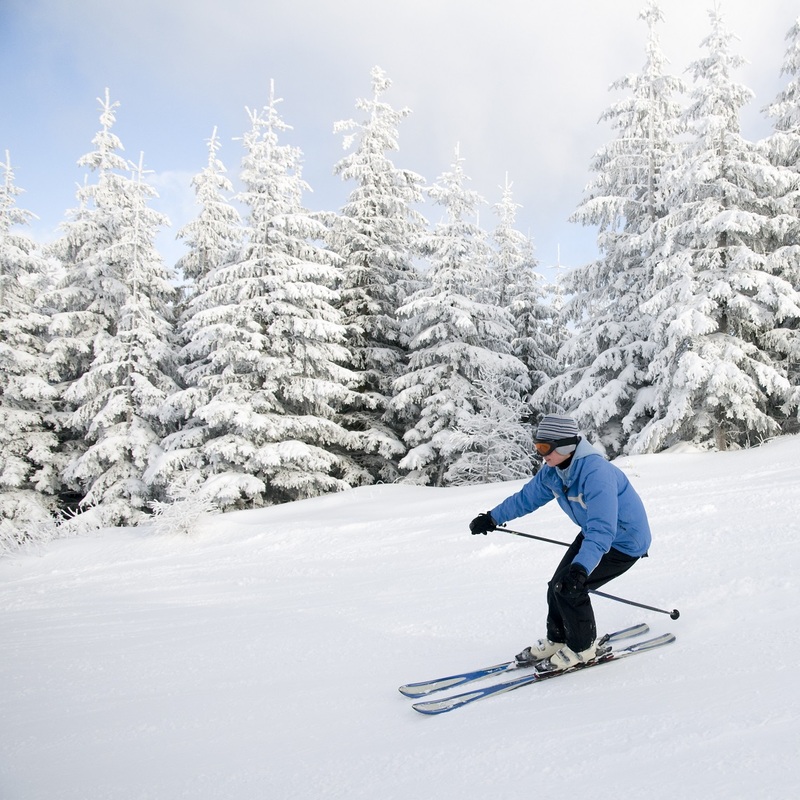 Wintergreen Resort is located in Nelson County, and features 32 trails, 14 of which are available for night skiing and snowboarding. There are 5 chair lifts, 2 of which are high speed efficient 6-person lifts. It’s a great place for all to enjoy, no matter your skill level. There are three main areas to ski in; an area for beginners, intermediate, and an expert level area called ‘The Highlands’ that features black and double black diamonds. Those that are worried about getting lost between the areas, and venturing into a territory you might not yet be ready for, never fear! Skiers report that it is nearly impossible to get lost at Wintergreen Resort. A snow tubing park with 12 ‘lanes’ is also at the resort. Massanutten Ski Resort is a bit further away than Wintergreen, but still worth the trip! Situated on Massanutten Mountain, this resort features 14 trails and 7 lifts. Their snow tubing park is over 900 ft long with several ‘lanes’.